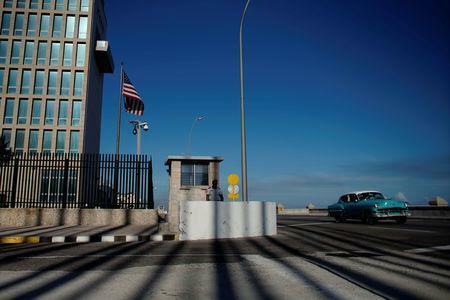 HAVANA (Reuters) - The Trump administration's move to end five-year visitor visas for Cubans has left residents of the island angry and frustrated that it will be even harder to see their relatives, shop, or undertake cultural and academic exchanges in the United States. 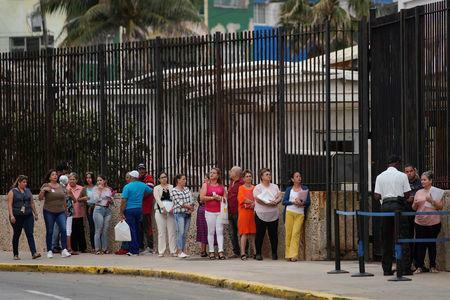 "It will cause great harm to Cuban civil society, the very sector driving changes to the island’s political and economic structures,” he said. The Trump administration says the U.S. diplomats were the targets of "attacks." 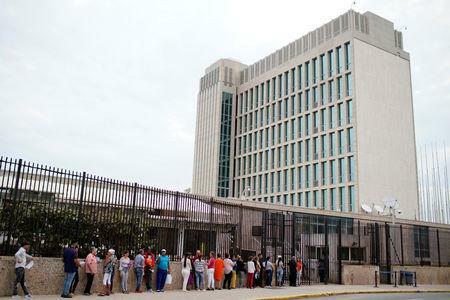 Cuba has denied any involvement or knowledge of what caused the illnesses, whose symptoms included tinnitus, hearing loss, vertigo, headaches and fatigue. "My five-year visa runs out next year and I cannot afford to travel to Mexico every year just to try to get a one-time visa," said Marlen Calabaza, a retired telephone operator who visits Pennsylvania to help her daughter and five grandchildren. "I feel worse for her than for me," she said. "If before it was difficult, now it's impossible. If before people came to get visas to visit, now there is no one," he said.